About: I found this hiding in the corner of the shed in our garden and thought that it has definitely earned a place in this museum. It has obviously been well loved and the tape is quite worn and ragged at the end, but the winding handle still works well. 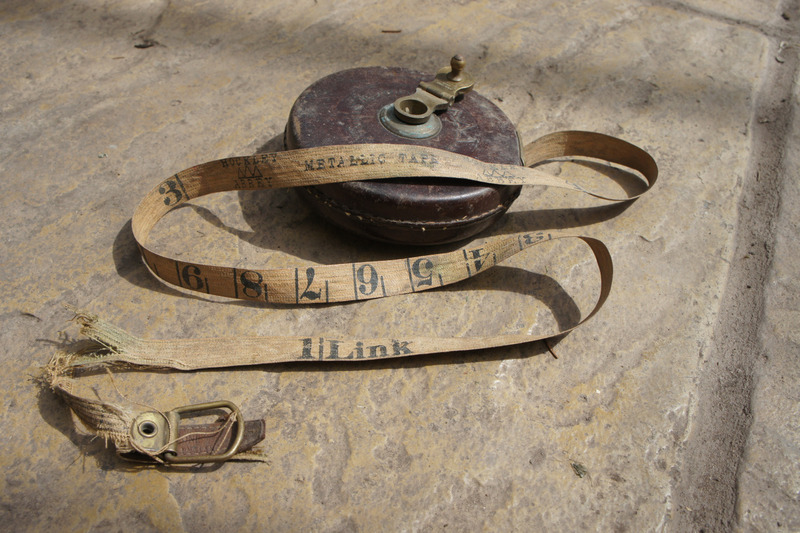 The cloth tape is marked with feet and inches on one side, and links on the other side which intrigued me… Not knowing what a “link” is, I looked it up to discover that it was a unit of length commonly used before the 1900s in surveying land. Trivia: 1 chain = 100 links = the length of a cricket pitch.